The June 26 – July 1 6 Day Combined Combat Team Tactics / Combat Patrol Class is now a definite go. I have previously posted that we needed more students for this class. Sometimes classes just fall in the cracks, for whatever reason. This will be a smaller class, and I just emailed the students telling them to bring more ammo if they want, because as a smaller class they will get the opportunity to do more time on the lanes. There are still spaces on the class and I will also now take bookings for split attendance, either Combat Team Tactics (June 26-28) or Combat Patrol (June 29-July 1) portions only. Summer Discounts still apply. In this post from yesterday I commented on some changes to the MVT class scheduling. I also posited that I have a theory that some are put off from attendance at classes of the quality of those offered at MVT by fear of failure, primarily due to lack of physical fitness. Some of the student reviews may be reinforcing that. Why? Because one of the biggest take-aways from MVT classes is that your PT level can always be better, and that the better your tactical fitness is, the better you will perform. However, it is true that the classes are not physically demanding, not physically excessive at all. You will be fatigued simply due to time on your feet, but if you have a basic level of PT (and the right mindset) you will be able to do these classes. And frankly, if you don’t have any PT at all, you need to take a long hard look in the mirror and wonder what you are doing. Although the classes are the closest thing, tactically, that you will find to Ranger School outside of the military (and at MVT it is all live firing, for maximum training value), we do not restrict food and sleep or make you hump excessive distances. On the Combat Patrol class we are practicing primarily ‘actions on the objective’ and not focusing on long marches to get there (we even amended the night recce patrol to focus on action on the objective, rather than the night approach march, because navigation is not taught at the class). There is less sleep available on the 24 hour Tactical Phase of the Combat Patrol Class, due to occupying a patrol base, but it is not excessive and is managed. If you are serious about training and preparation, you should be taking these classes. Check out the STUDENT REVIEWS for perspective. The flip side is that here at MVT we may be colliding with a societal issue: that of laziness, denial, and lack of PT in general. It has always been my stated mission statement to provide training ‘in order to keep good folks alive.’ That is why I wrote the manual ‘Contact! 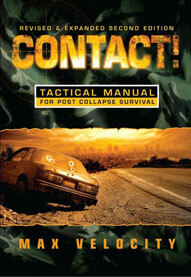 A Tactical Manual for Post Collapse Survival.‘ That is why I then opened the training school, and later went full time to make myself more available. This training is designed for anyone, call yourself a prepper, survivalist or Patriot, who wishes to be better prepared to survive a coming collapse situation. But I am getting feedback that not many people are training at all out there, across the board: “Sadly, I think it bodes very ill for the mentality of most people in the “Liberty Movement”. The pool of people who are serious enough to train more than 1-3 classes is very shallow and narrow.” This really concerns me, because this type of training is needed. You would be amazed by how many fairly confident ‘gun guys’ find their eyes wide open on the Combat team Tactics (CTT) Class: from weapon manipulation training on the square range, to engaging pop up electronic targets out in the woods as a tactical team. You can’t just do this by thinking about it: you will fail. You will not rise to the occasion, but to your lowest level of training (none, or false tacticool square range stuff?) and it is my observation that many people simply don’t know what they don’t know, and receive a huge benefit in their ability to protect their family by taking these classes. So, how to make it work? I’ll work with you if you work with me. I have made it clear in THIS POST that I am going to a general training plan of one open enrollment class per month, and then making myself available for private bookings, either at the MVT Training site in WV, or at your place if you have a suitable training area. There will be exceptions, when I run special classes, where there will be two open enrollment classes per month, etc. If your training issue is truly cost, then talk to me about getting a group together and training them. My standard class fees are $200 per day per person, but I have worked with groups in the past and I am happy to do so again. I do have to make it clear though that I am not going to mess about with training i.e. a little bit of square range here, a little bit of something else there. I have established the curriculum of the two basic classes, Combat Team Tactics and Combat Patrol, as sound progressions. That is why CTT forms the basis of the 6 day class and of the classes that I put on in Texas. We all arrive safely through the progression before we move onto other stuff. I am happy to discuss a tailored curriculum with you (CQB etc) but be aware that we have to hit the progression before we get to the higher speed stuff. 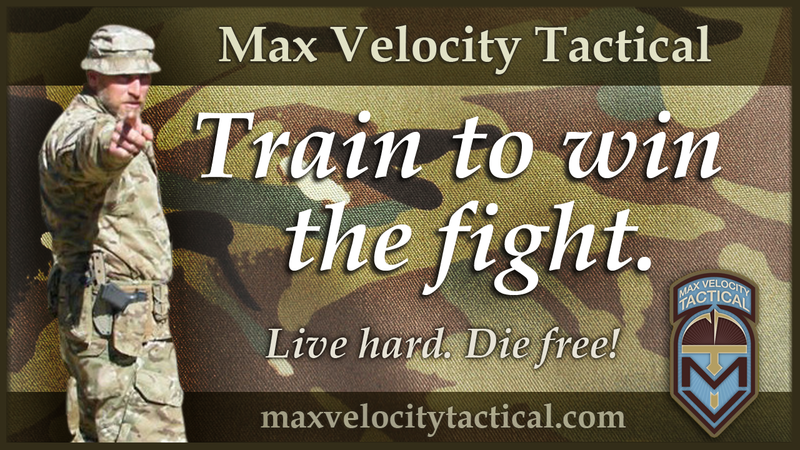 It is preferable to train at the MVT Facility in WV, simply because it is built for the task. However, if you have a group and you can’t get them all to Romney, then talk to me about coming to yours, just like I do for the Texas classes. You are fighting parettos law. Most of the people who attend your training are likely self centered preppers. Say 40% aren’t. That leaves 60% who are going to sit on their pile of food and ammo and thump their chest till the day their door is getting kicked in. But 40%? It’s really disheartening to think the need for PT is scaring away potential enrollment. If the III out there are truly the III then doing a little PT shouldn’t scare them off. I don’t know about other forum members here, but protecting my family/tribe is worth a five to ten hours per week of training. What does this say about the movement other than it is a total joke. Saying there is a three percent society might be generous…it’s probably closer to .000003. The CUTT – Getting it started, and keeping it going. Forum Post Link. It’s a sorry state where we see this lack of intestinal fortitude. The flip side is the mental bluff people pull by convincing themselves they have trained by doing just some tacticool square range stuff, or some second rate ‘easy’ class or standard. It’s the mental gymnastics of denial. But are we right about PT? Or is it similar what I see in groups, where there is no sense of urgency, no feeling that training is needed, that it will “all be alright” and in effect a social club to talk about what’s wrong with society? Pus I am driving up from Fla. so if anyone need a ride please let me know.